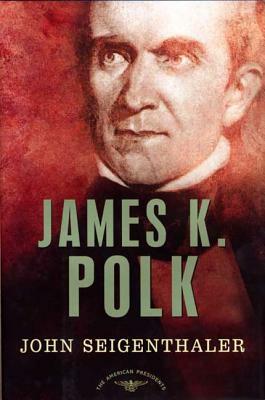 James K. Polk was a shrewd and decisive commander in chief, the youngest president elected to guide the still-young nation, who served as Speaker of the House and governor of Tennessee before taking office in 1845. Considered a natural successor to Andrew Jackson, "Young Hickory" miraculously revived his floundering political career by riding a wave of public sentiment in favor of annexing the Republic of Texas to the Union. Shortly after his inauguration, he settled the disputed Oregon boundary and by 1846 had declared war on Mexico in hopes of annexing California. The considerably smaller American army never lost a battle. At home, however, Polk suffered a political firestorm of antiwar attacks from many fronts. Despite his tremendous accomplishments, he left office an extremely unpopular man, on whom stress had taken such a physical toll that he died within three months of departing Washington. Fellow Tennessean John Seigenthaler traces the life of this president who, as Truman noted, "said what he intended to do and did it." John Seigenthaler was the founder of the First Amendment Center at Vanderbilt University. An administrative assistant to Attorney General Robert F. Kennedy, he was an award-winning journalist for the Nashville Tennessean for forty-three years, finally serving as the paper's editor, publisher, and CEO, and was named founding editorial director of USA Today in 1982.